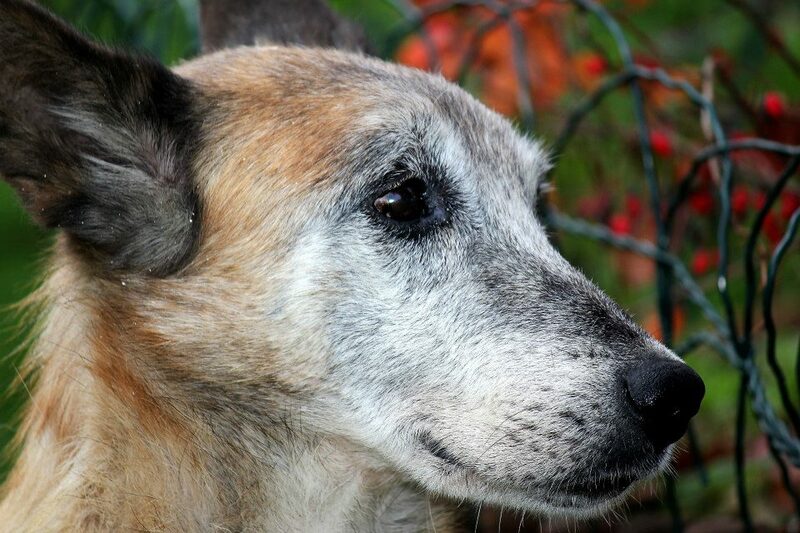 I am hearbroken to tell you that beautiful Oldie died on Wednesday night after a heart attack. 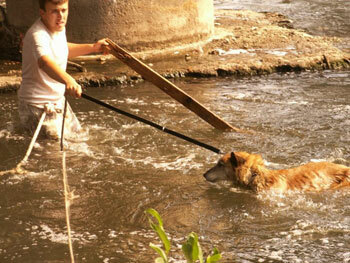 Oldie was rescued from a river in Sarajevo last September, most likely put there deliberately to drown. Thanks to donations he was put into the best pension in the city, and would have gone to England this June with a home recently promised by Blind Dog Rescue UK. 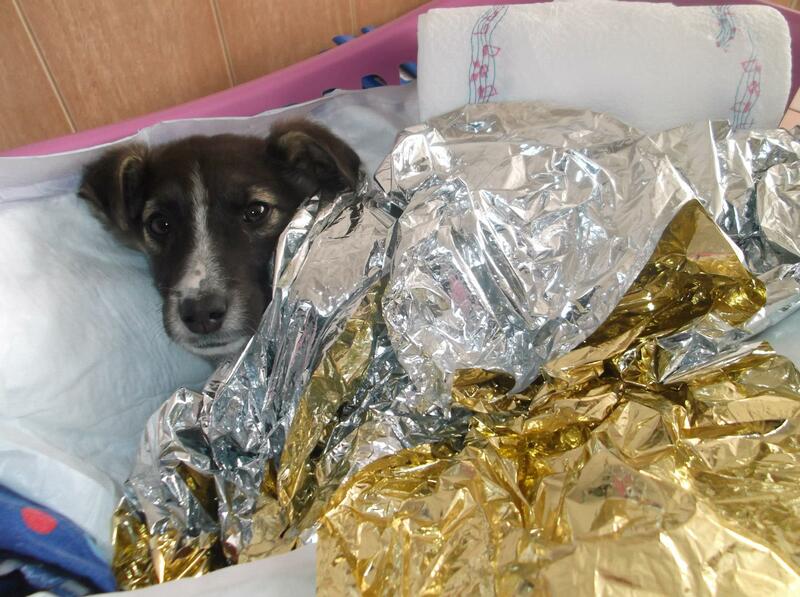 I know Almir Kuduz took special care of this lovely dog. He immediately contacted Arijana and Jelena after the heart attack. Oldie waited for them to arrive before he finally closed his eyes forever. “When I, and it was a few months ago, described this aloof and dear Grandpa, I never dreamed that the day would come that I would be the one to consecrate him back to the river. Last night, at 21.40 Oldie’s heart stopped. The vet and the entire team gathered around him … but nothing could postpone the inevitable. 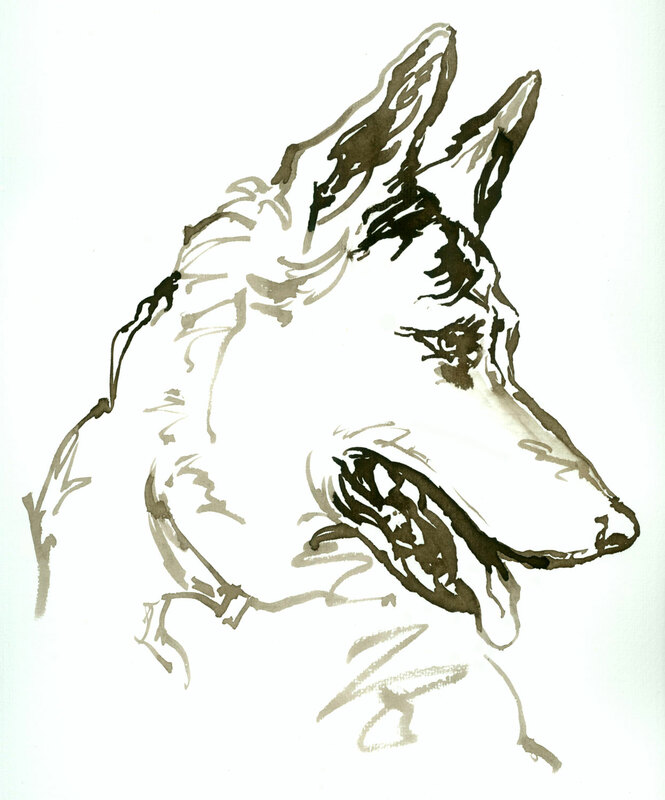 And in the final hours of his life, Oldie did something for which I will always remember him, and not just me. Arijana and Jelena will also remember. With foreboding that Oldie will die, the two of them came to be with him. Oldie waited for them. He waited and then gave them the last half minute of his life. 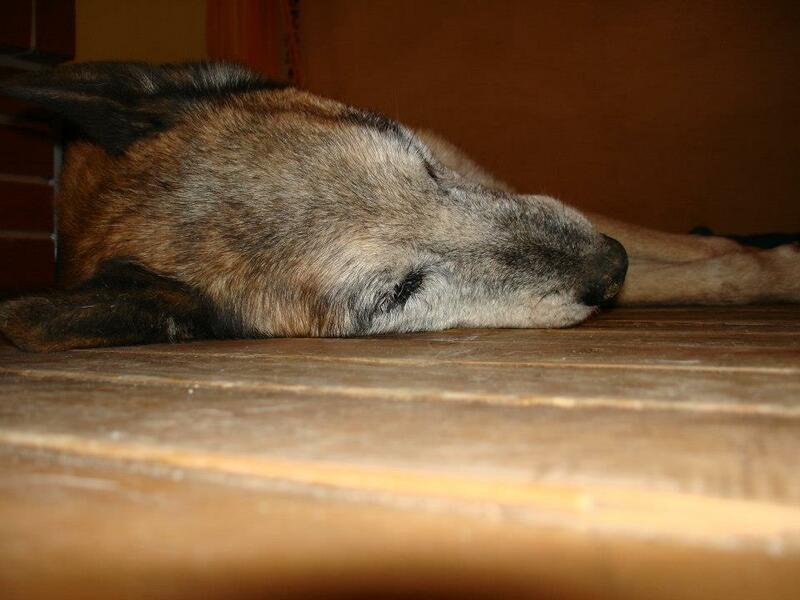 While we were all beside him, Oldie sent them one last long look, rocked a little on his paws and sank to the floor. So much more heart left for the end. Oldie waited to give them the gift of that last look, his thank you for being rescued from the river Bosne, and for those who have taken care of him all these months and tried to find him a home. Foster parents were never found … but home was here. Here Oldie had grass and flowers. He had people who loved him. Oldie had a home. I will miss his dancing and tapping paws at the door of his compartment, while waiting to go for a walk. And I will miss his grey muzzle and dark eyes. His peace and serenity. His clumsy attempts to play and curry favour, at least as much as his old bones would allow. He went out where he will forever have a piece of grass and his eternal peace. Thank you to everyone who donated to keep Oldie off the streets and at King Pension so his last months could be spent in a safe and loving environment. Please note that there are other rescues desperately seeking homes. We have a transport to the UK booked for mid June and need to find 5 more homes for our rescues to make the June transport successful. 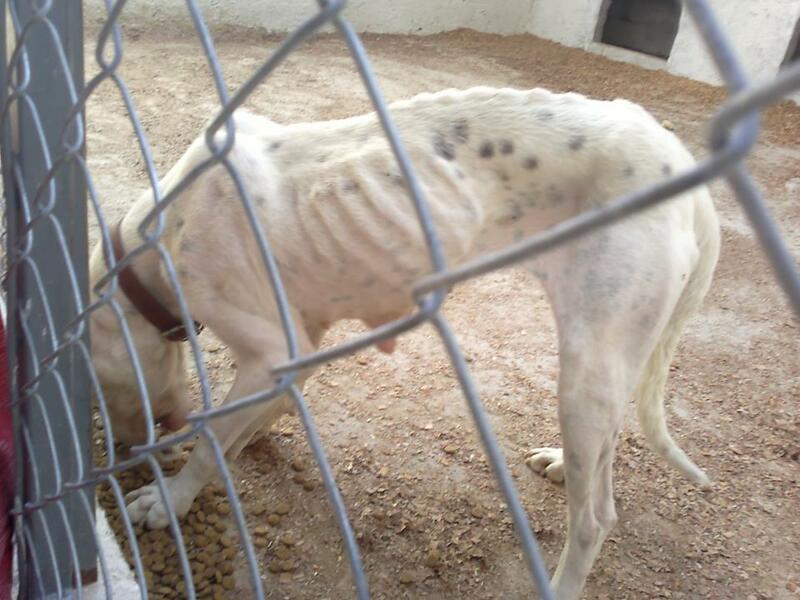 Please spread the word as much as possible and view all the dogs at http://awabosnia.org/. 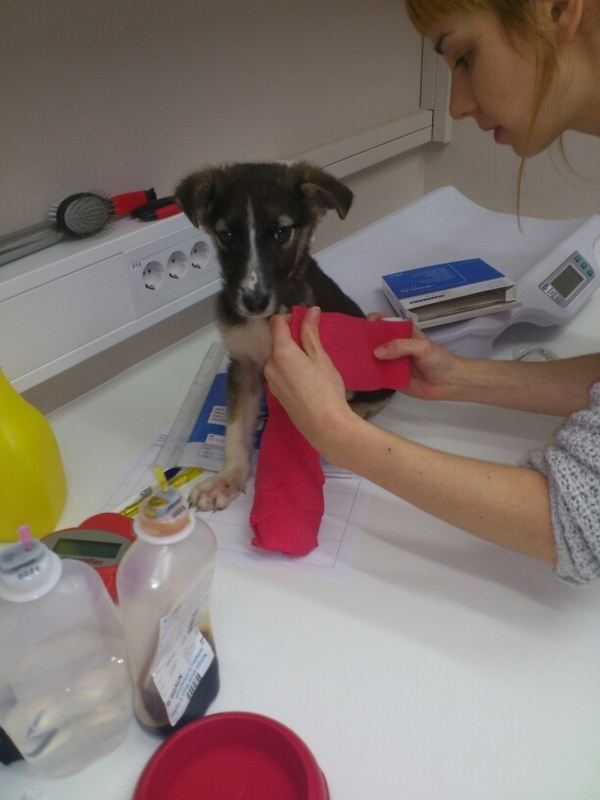 This morning animal advocates in Sarajevo received a phone call from a young man crying and screaming to help a puppy who had been run over by a car on outskirts of Sarajevo, an area called Jercedoli. The puppy was injured yesterday but the poor boy only discovered him this morning in his yard. 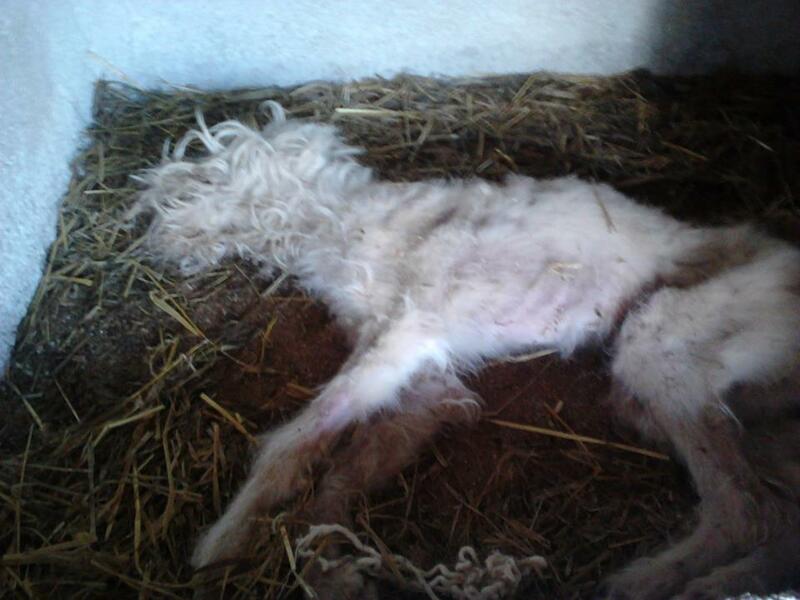 He picked him up and hid him in an improvised dog-house until someone replied to his cries for help. 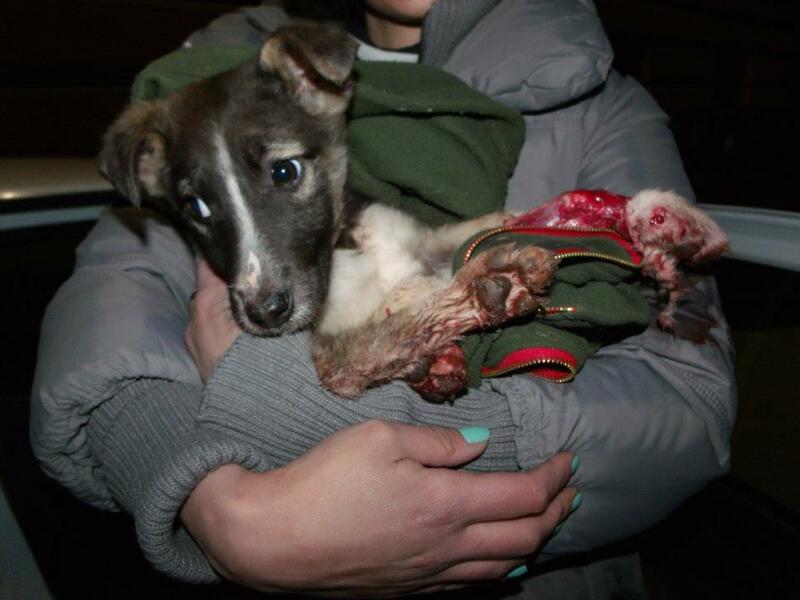 When advocates were contacted they went immediately and brought “Puppy” to the city center and to a vet where his injuries were examined. His back left paw is completely broken, an open fracture, his skin torn, on his front left paw the skin is completely shredded and you can see all the muscles and bones beneath it. 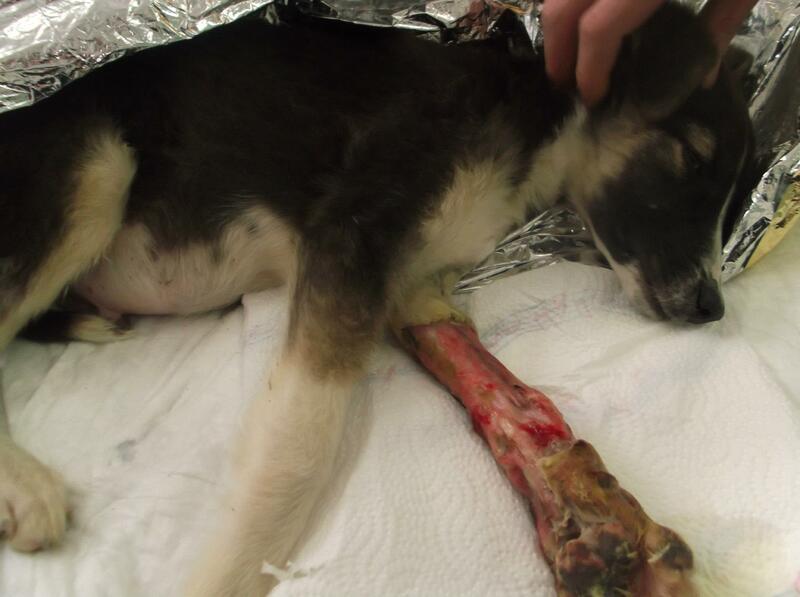 He has several other injuries on his other paws but those are minor in comparison to the rest. Tomorrow he will be taken to the vet faculty for an x-ray of the injured paws and to see what type of surgery can be done. 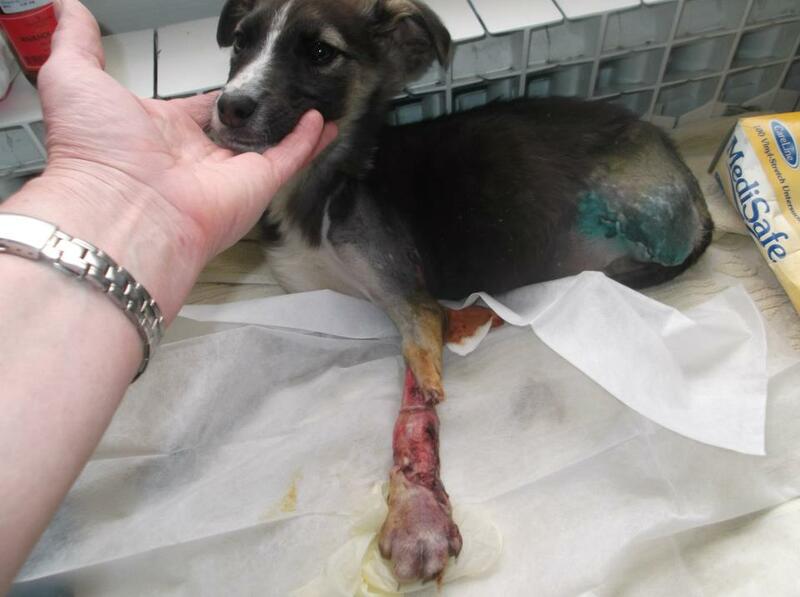 Donations for surgery, vet care and pension fees are urgently needed. He is about three months old. Please state your donation is for “Puppy”. Puppy is at the vet station. Things are not looking great. He will at least have to have one of his legs amputated. More photos have been added to the slideshow including x-rays. 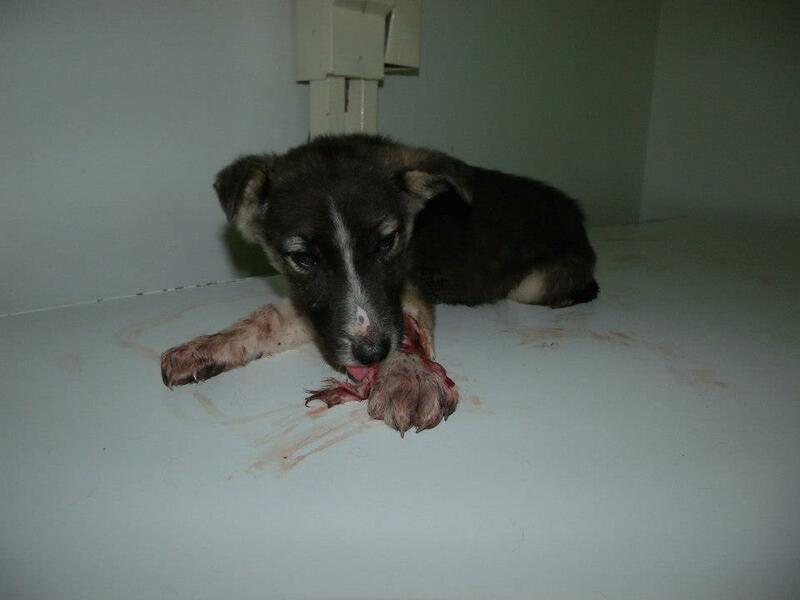 Donations have already come in, thank you so much, a total right now of 200 euros. More will be needed for surgery, recovery and then pension – and hopefully…. a forever home. 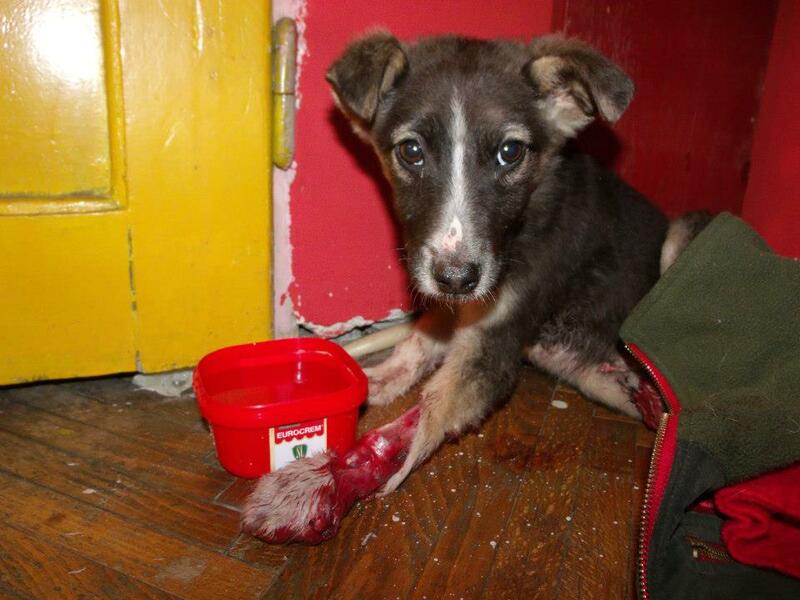 Puppy is at Milena Malesevic’s apartment (one of the animal advocates in Sarajevo). Vet amputated his back paw and said front one needs constant vet care. This will be arranged tomorrow via the vet university. Today’s surgery cost 110 euros. More donations have come in, thank you so much. We are at about 400 euros now. 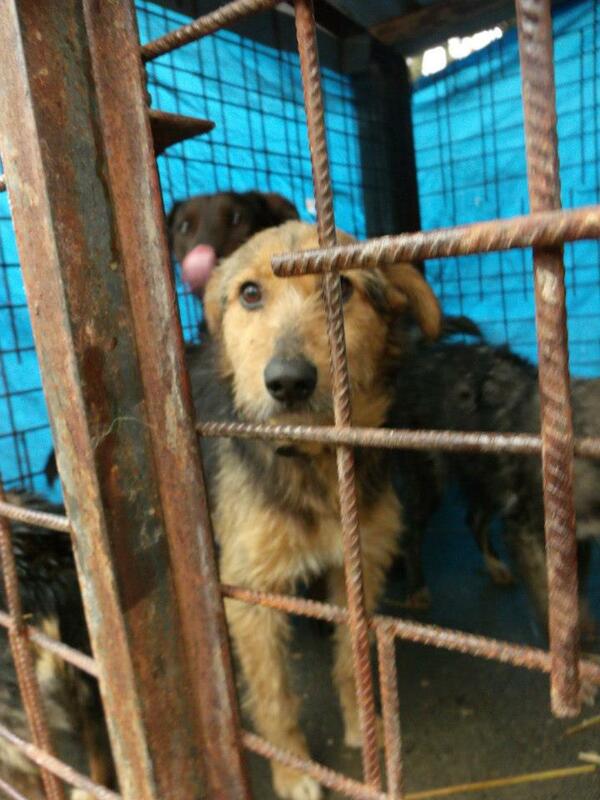 Maybe if he is well enough he can be adopted in the UK on our June transport. Please contact us if you can help. Puppy is at the vet station. Not good news so far. 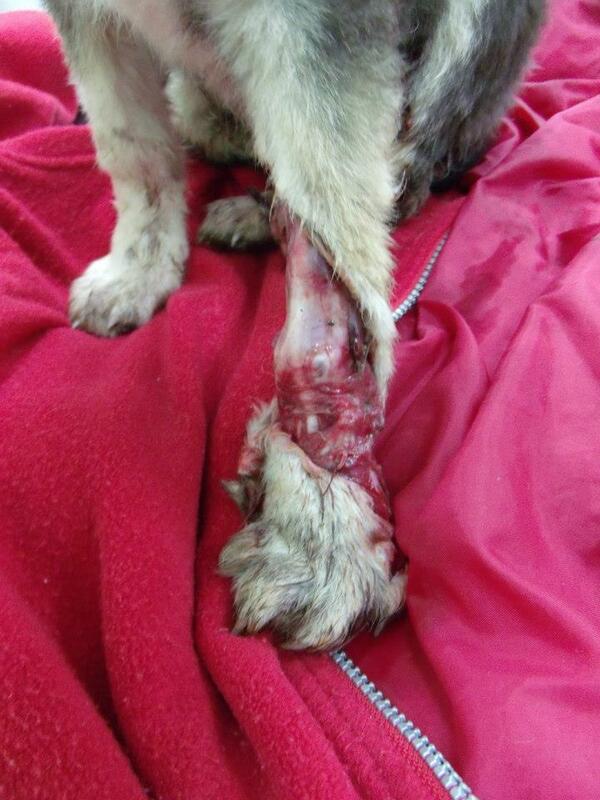 Dr. Selma Filipovic concludes that his front paw is in very bad shape. New photos added to the slideshow. 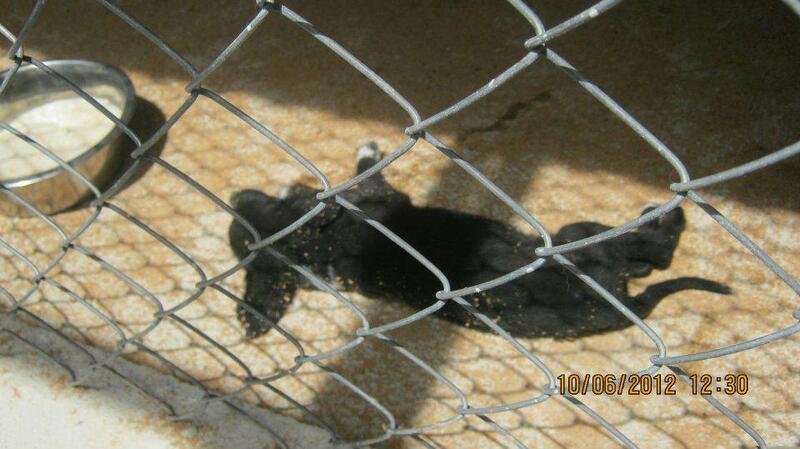 Puppy is now called ‘Ado’ after Adnan, the boy who telephoned for help originally. Ado is with Milena Malesevic who is changing the dressings daily. She says Ado is eating well but is in shock and very quiet. We are very concerned about the front leg. Milena says it is not looking good. 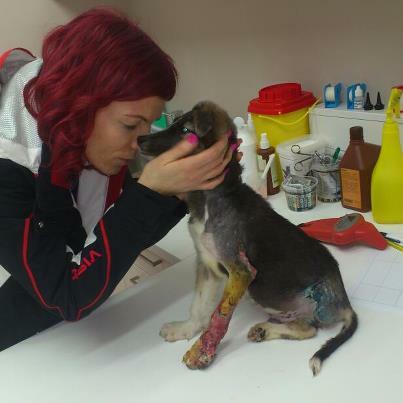 Right now we are trying to see if Ado can be taken to a clinic in Slovenia where Milena has had good luck with severely injured animals. Ado will be taken to Slovenia asap, where he will be looked after by Animal Angels and taken straight to the clinic in Ljubljana. The trip is a 9 hour drive. 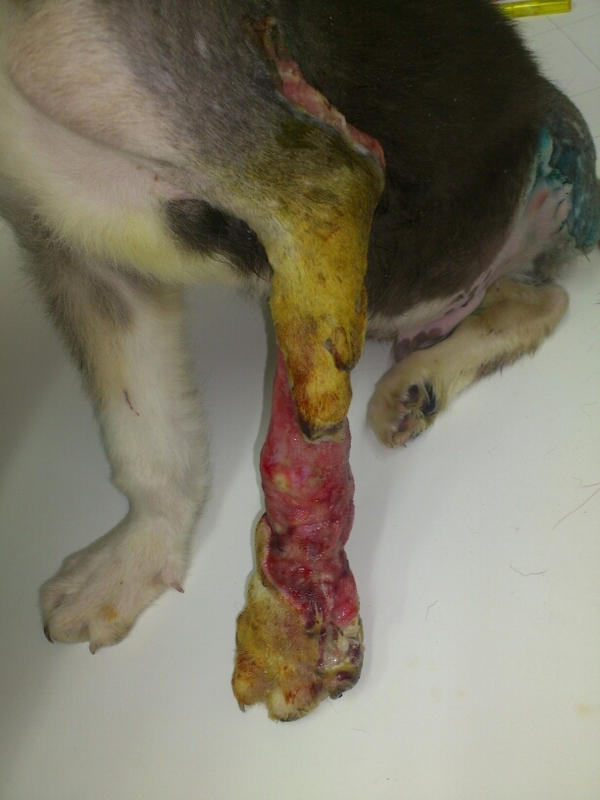 So far costs are 395 euros, this is for his surgery, vet care, the trip to Slovenia. 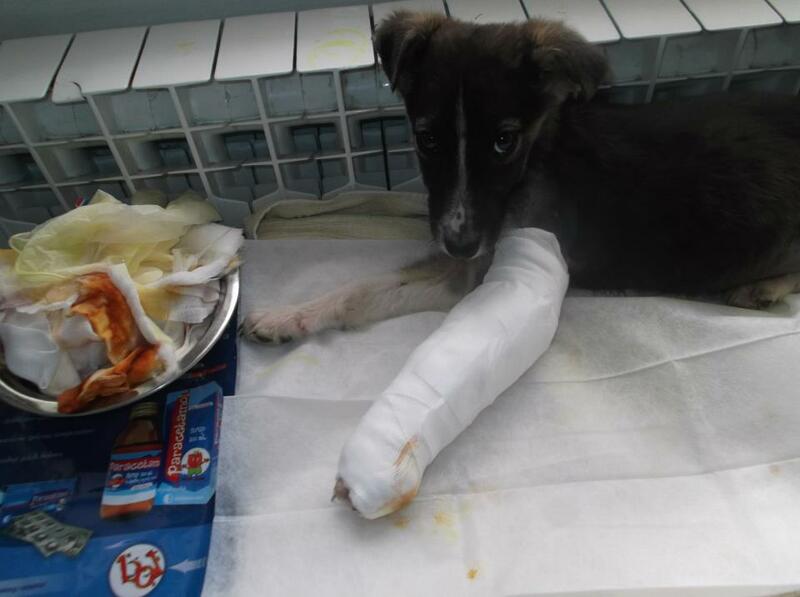 This leaves 300 euros left over from current donations for his treatment in Slovenia. 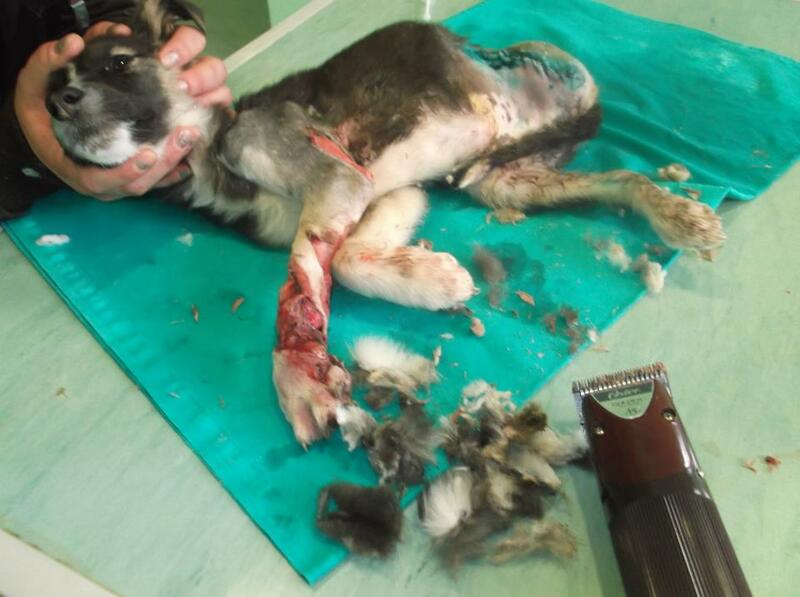 We have no idea right now what that will cost so please help us to keep fundraising. Ado is doing OK, latest photos below. 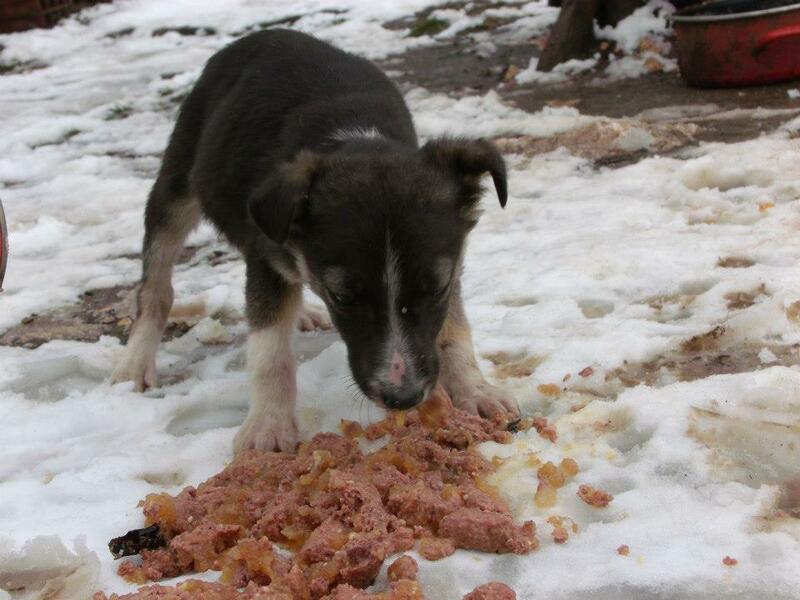 He is eating, and is going to the toilet, but is quiet and needs to be kept warm as he is still in shock. He is eating and sleeping well. Ado is in the clinic in Slovenia. His front leg is in very, very bad shape. The tissue is dying and gangrene has set in. They will try everything they can with antibiotics for 24- 48 hours, but right now it needs a miracle. We are contacting a specialist in bone surgery and also where he is there is a very good specialist. Everything that can be done will be done. “They have not decided for the amputation yet the wound does not smell as bad as it did, it looks like clymicin medicine has gave some progress he is on the operation desk already for three hours, now they will probably remove just one part of his paw. 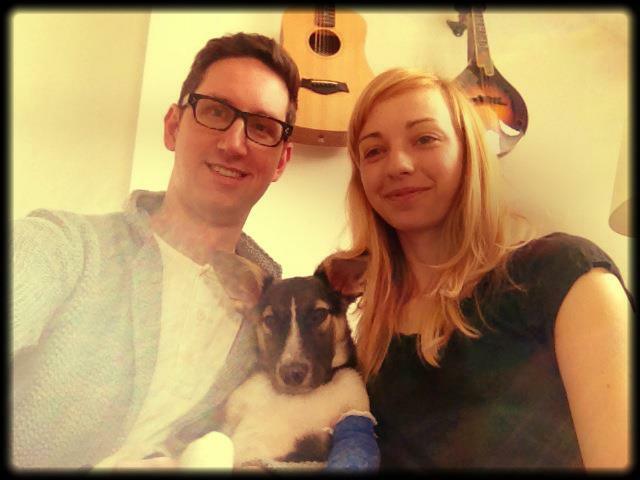 “Today Ado’s damaged paw was thoroughly examined (he was under anesthesia). 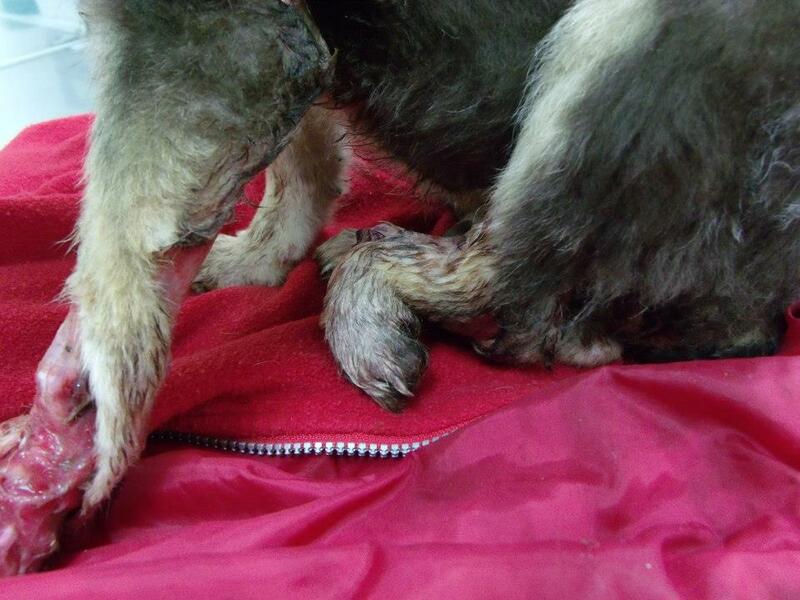 They cleaned pus focus and dead tissues, sewed what could be sewn in the upper part of his paw. In the lower area he has practically no skin, lower joint is most probably broken, 2 claws had to be removed, it seems they will have to amputate one or 2 toes. The part with no skin is protected with Hydrogel. In the following days the procedure will be repeated, his wounds will be daily cleaned, his general condition and lower joint status will be regularly monitored. He will be also x-rayed tomorrow. 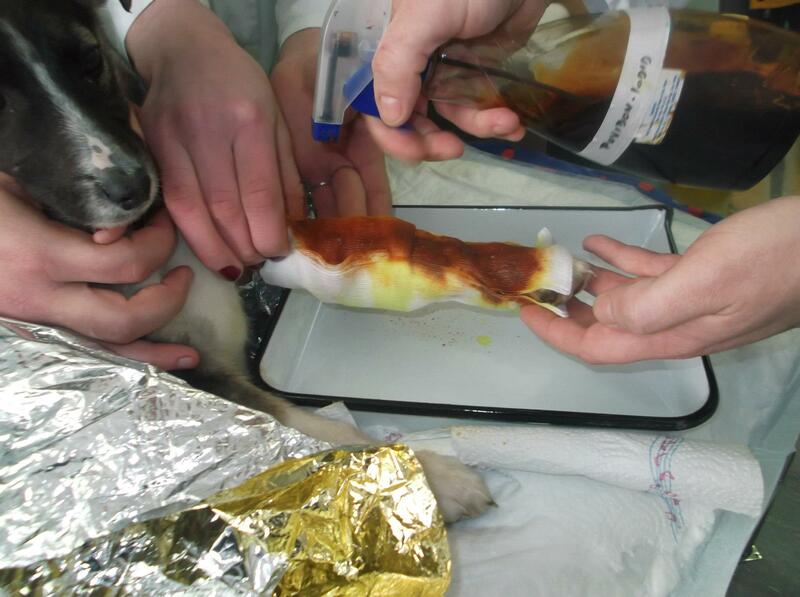 If everything goes well they try with skin transplantation though it is not necessarily always successful. 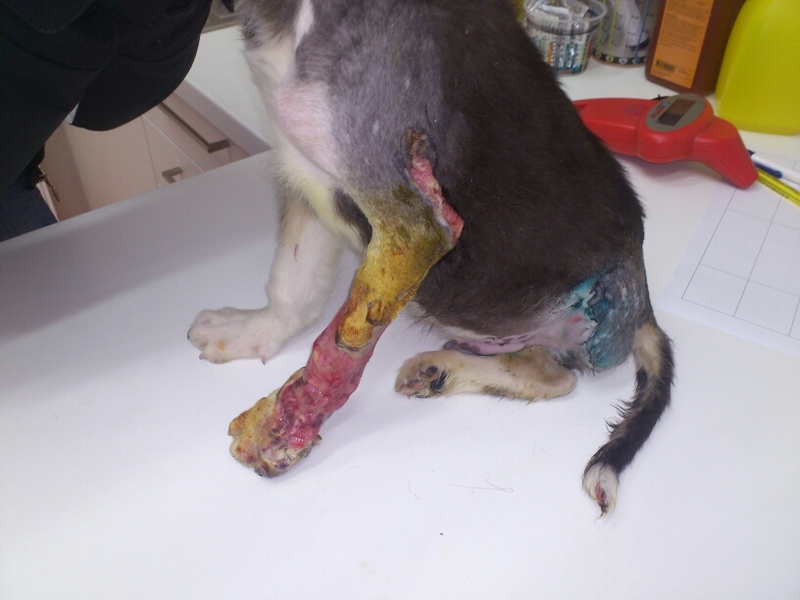 Ado is on 3 different antibiotics, pain release plasters and meds like ( Rymadil, Tramal). 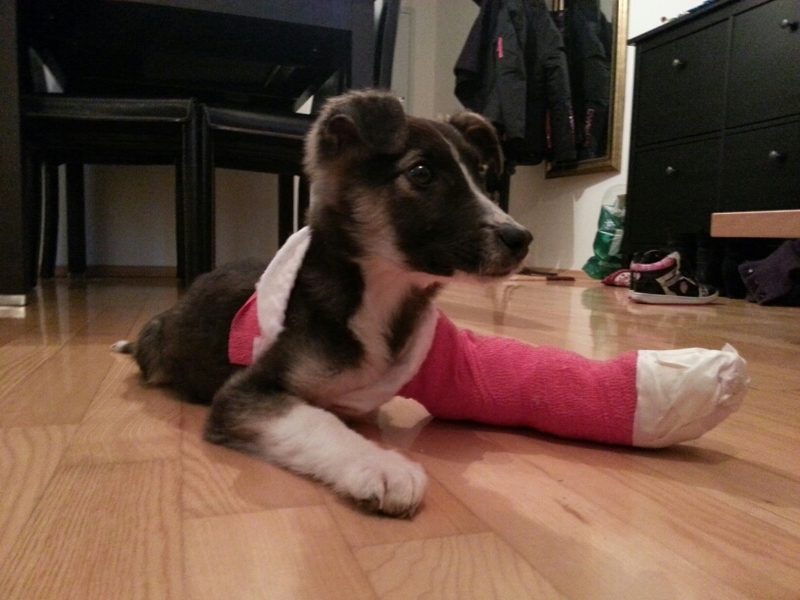 Olga visited Ado today, she says:“He is doing well for now. 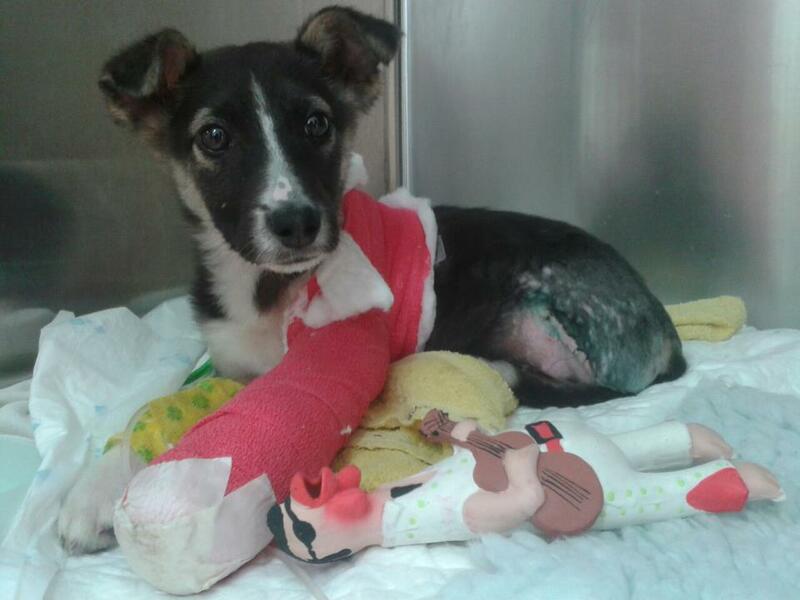 Please help with funding via our YouCaring fundraiser for Ado. 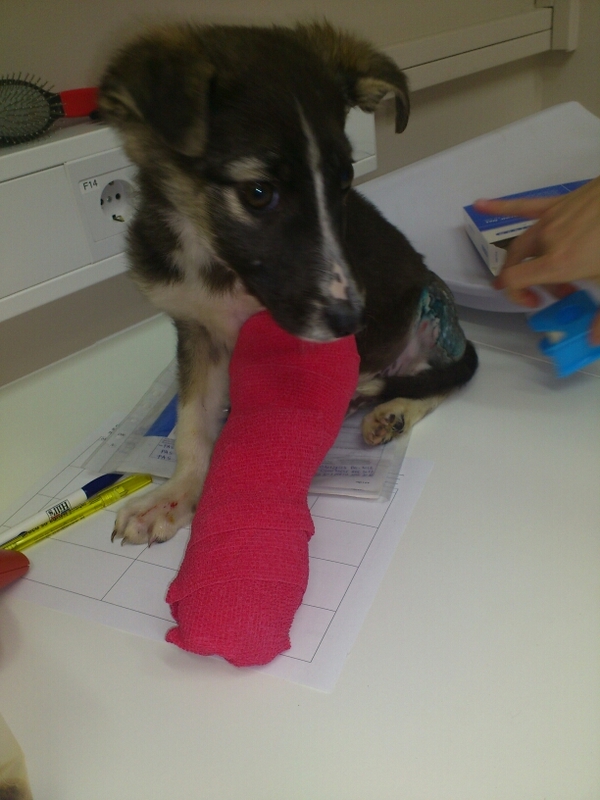 (Ado’s tail had been damaged in the accident and also wasn’t healing)Note: All updates will now be posted only on his Facebook page: Saving Puppy Ado. We have raised enough for his veterinary care until now, but funds are still needed for his daily care which costs 30 euros per day. 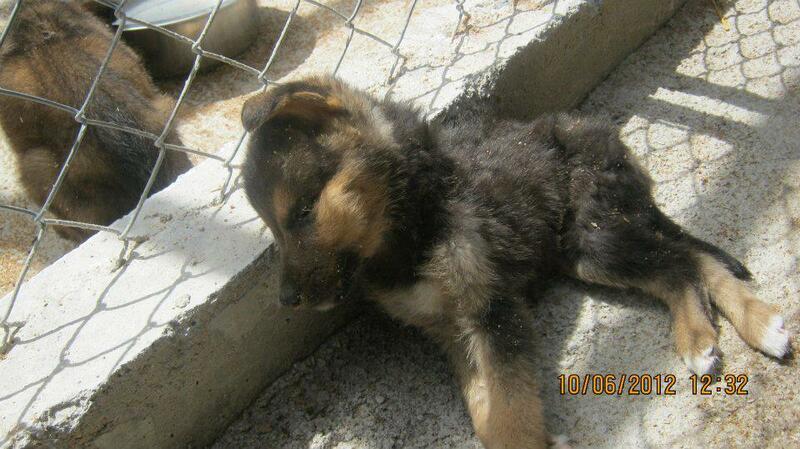 Donations via YouCaring: http://www.youcaring.com/pet-expenses/Saving-Puppy-Ado/47574 or direct to Paypal at donations@awabosnia.org (mark for Ado).Final update May 2013: Ado was adopted by the lovely vet who took such good care of him! He’s doing very well and is much loved by her and her husband. I have recently been in correspondence with Susan Johnson. Susan has a wide range of experience in animal welfare as well as in government in a number of countries including Bosnia. 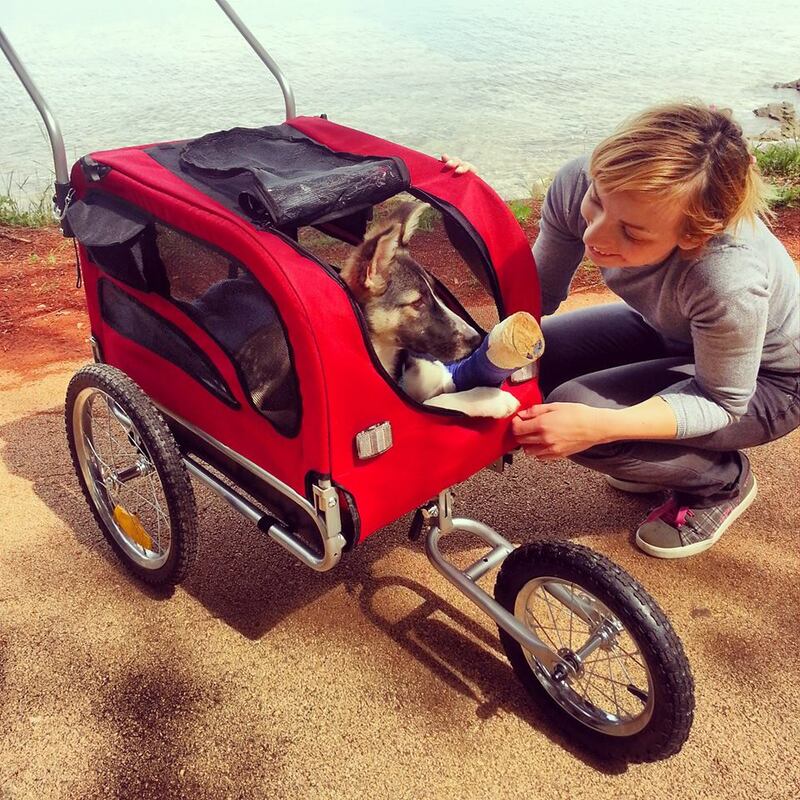 She worked in the US State Department and was instrumental in assisting a local NGO establish a model no kill shelter in Brcko, northeastern Bosnia. 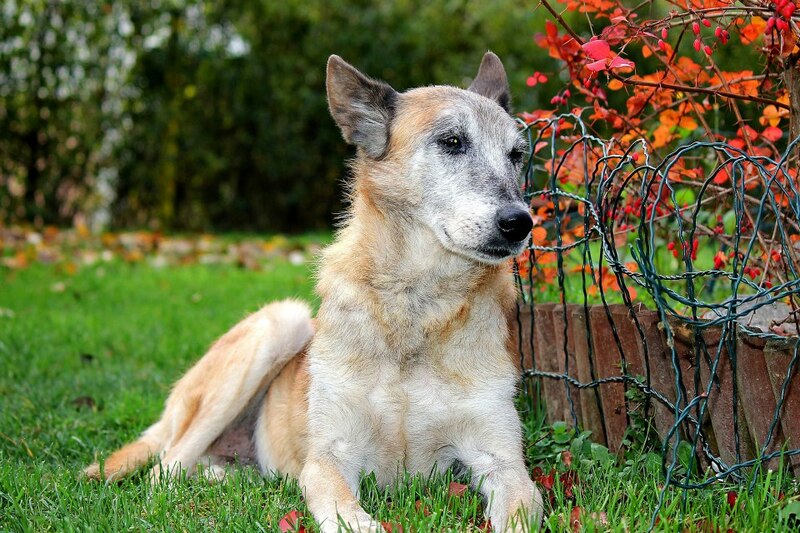 “Bosnia – and the Balkans in general – is a very tough place for humane and effective animal (dog) control, mainly because of the difficulty in finding any local authorities who are really interested in doing the right thing, or who actually know anything about what the right thing involves. It is fundamentally a cultural problem which becomes a political problem for anyone who tackles it. Add to that the corruption and graft factor by which many at the municipal level have been skimming money from the budget for decades. There are consequently people and political parties with strong vested interests in the status quo. They resist change – including with threats, harassment, false accusations and other dirty tricks. If you look at the amount that different municipalities budget for stray dog control and the abysmal results you can see that a lot of fingers are in the pie. Considerable amounts are skimmed off with individuals getting considerable amounts ranging from a few thousand to $5000, $10,000 and in some case much more. There are no controls on numbers so local authorities can say that “we collected 4000 dogs and euthanized them” when actually the number was far less. Or else they do kill them, but brutally – not through any Western concept of “euthanasia”: By clubbing, poisoning, shooting, starving and even just freezing them in industrial freezers. They have false invoices, inflated numbers, and all sorts of shenanigans. Probably measurable progress will depend on some generational changes in local leadership and some public education that must come from Europe and the United States. Other options are shining the sunlight on atrocities to “name and shame”, which depends on good investigative journalism by journalists who understand Bosnia and the Balkans. Not easy to find. Legal action is more iffy given the lack of independent judiciary in Bosnia. All of this is why after about 8 years of trying to work this issue, I decided to implement an exit strategy and move the 101 Bazil dogs from Brcko (Birchko) District to a new site closer to the Belgrade international airport for easier access for international adoption, and in a municipality where local authorities might actually be interested. But this is northern Serbia, not Bosnia. 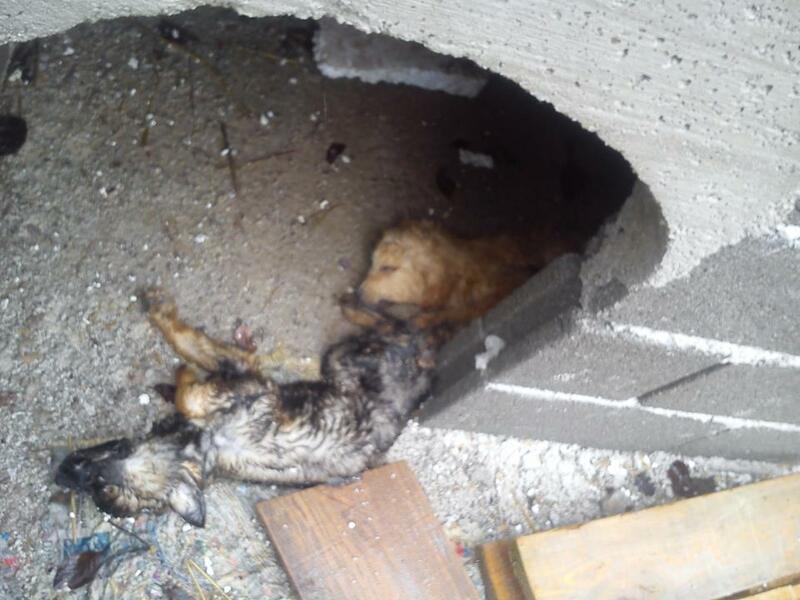 I was pushed to do it last year because international supervision of Brcko was ending and there were local plans to take over the shelter and kill the dogs. Will the new site be better? Time will tell but initial signs are hopeful. 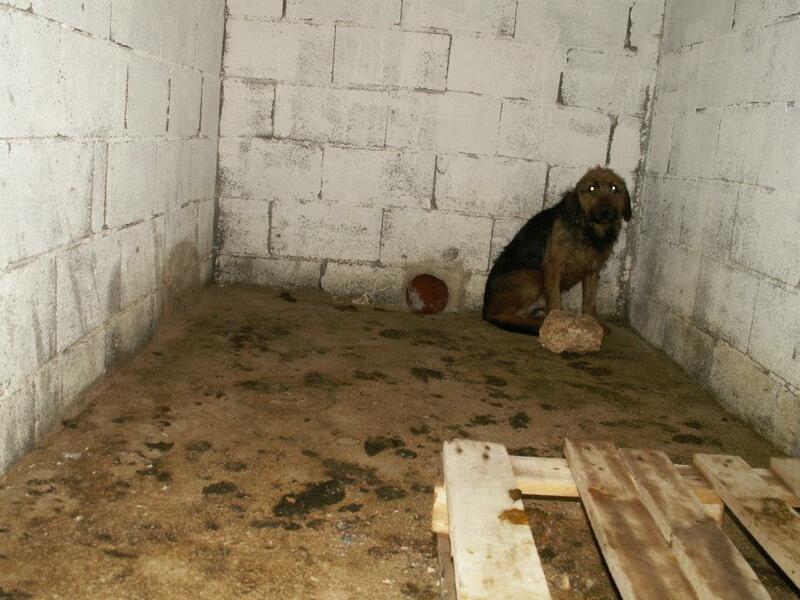 At the moment I only know of three shelters in Bosnia where there is a consistent track record of dogs being cared for well, one in Orašje, which is given support by Animal Kind’s Bosnia Animal Foundation (http://www.animal-kind.org/bosniaanimalfoundation.html) and two private shelters. 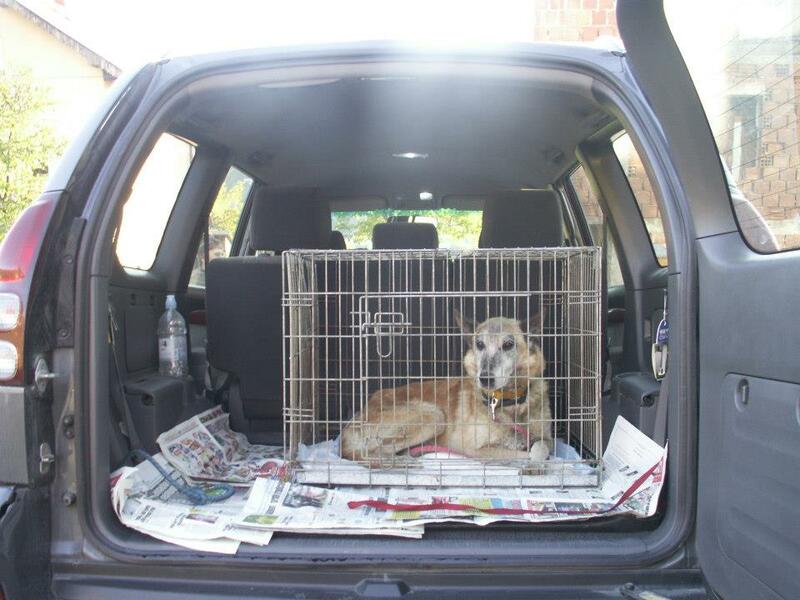 More about dog shelters in the county can be found here. What can we do? I don’t know. We can keep writing to the EU Parliament and organisations like the OIE World Organization for Animal Health, we can keep writing to the Bosnian authorities, and to western embassies in Sarajevo, and we can write to the international media in the hopes that the Bosnian government changes the desperate plight of stray dogs (and stray cats) in the country. Currently Animal Welfare Advocates for Bosnia is focussing on homing the 20+ rescued stray dogs we are sponsoring in pension and foster. After this is complete we hope to raise funds for spay-neuter programes as this seems to be the only immediate step that can assist the situation from spiralling even more out of control than it is. 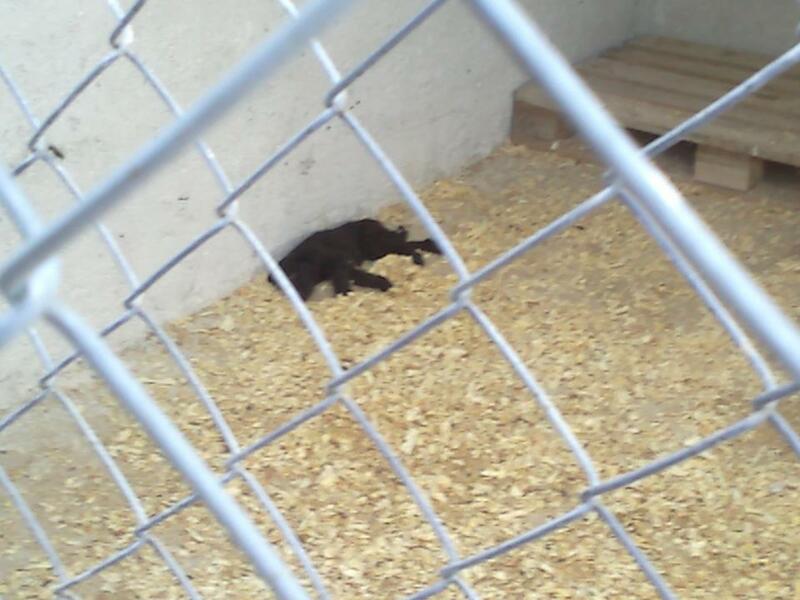 This photograph was taken just a few days ago in Sarajevo, at the dog “shelter” called ‘Prihvatilište KS Prača’, commonly known as ‘Praca’. Praca is a private shelter owned and built by Murai Komerc (a construction company) with contracts with Sarajevo municipalities to take in dogs from the street (on a per dog basis) and to provide them with appropriate care. 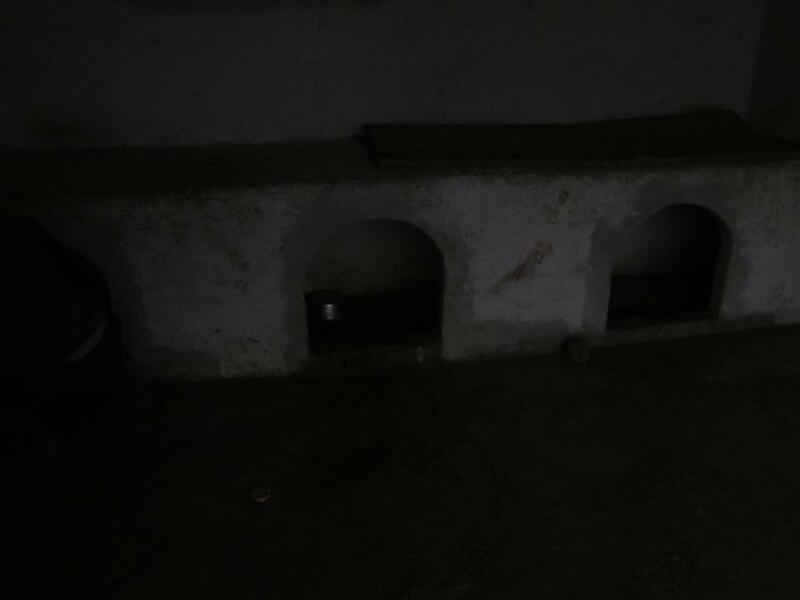 Below is a photograph of some of the dog pens – in midday. Taking photos in the “shelter” is forbidden. These photographs were taken secretly. In order to visit you have to say which dog you want to visit. You cannot just go and walk in or walk around. Praca is about 45 km away from Sarajevo, and difficult to get to by public transport, thus making it difficult for anyone to visit to check on activities there. 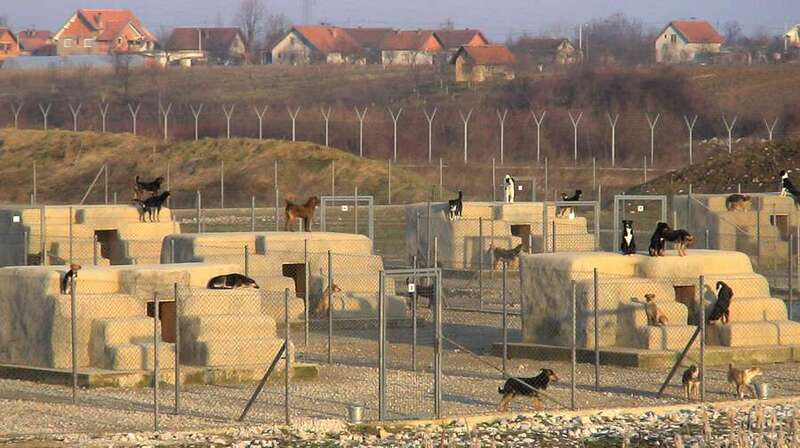 Two months after Praca was built (March 2012, it opened on 30th March 2012) reports said there was no electricity or running water in the “shelter”, that there was no fence around the compound, nobody there during the night, not enough food for dogs, no veterinarian. There were 15 workers and 500 dogs. 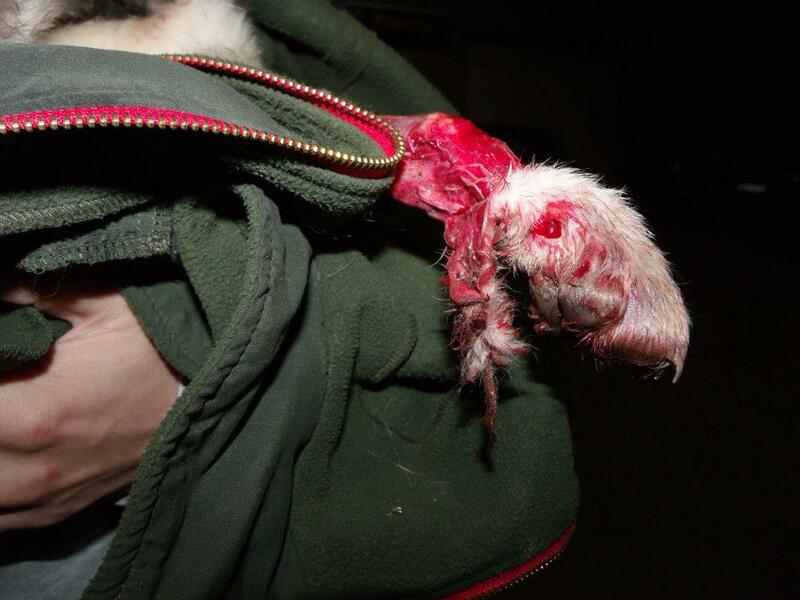 An attempt to publicise the situation (with these photographs) last year did not have any results. After that, we did not know what exactly the conditions were in Praca other than most animal friendly citizens in Sarajevo described it as ‘a concentration camp for dogs’. Please note, March 7, 2013 – This post has been modified from its original version in order to ensure the safety of anyone who might be connected to the photographs.